Doggie Styles is a full service salon offering a wide range of services to dogs and cats. Our prices reflect the time involved in grooming and can vary according to breed, temperament, choice of haircut, and condition of the coat. As a general rule, longer coats take more time to maintain and are therefore more expensive. Specialty clips are available upon request and are priced according to time involved. 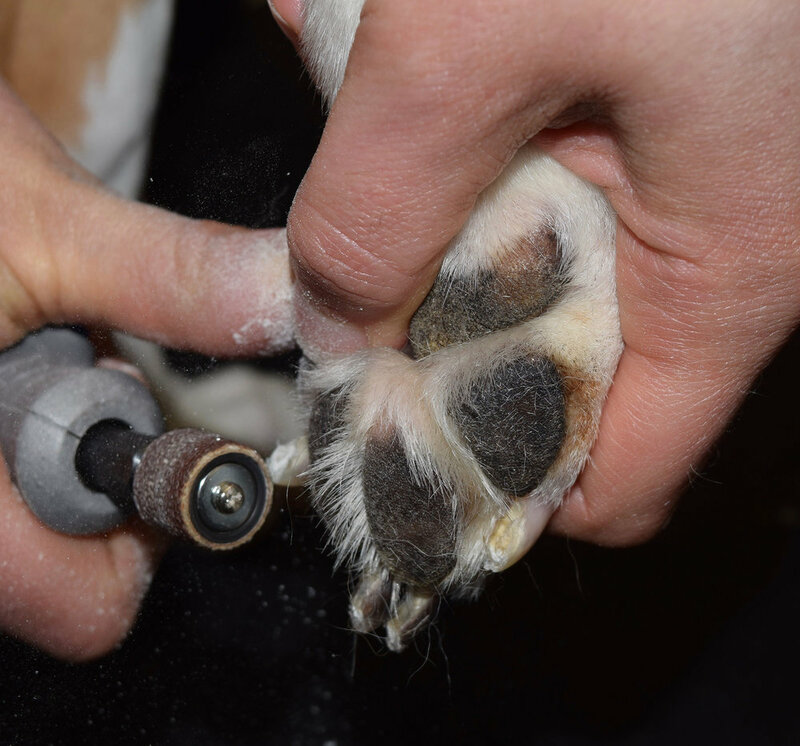 The cost of a "B & T" is usually less than a full groom, depending on the length of the coat. Many clients find this service valuable, particularly in the colder months. Dogs kept in full coat are priced according to time involved. Bath, Brush, nail trim (de-shedding) "BBNT"
"my dog doesn't need a haircut-does it need a groom?" YES! "my dog struggles with skin issues or allergies- does it need a groom?" YES! This is a popular service for short-haired, shedding dogs, or for those in need of a cleanup in between grooms. To maintain healthy skin and coat, and reduce shedding and allergens in your home, we recommend an 8-12 week grooming schedule. 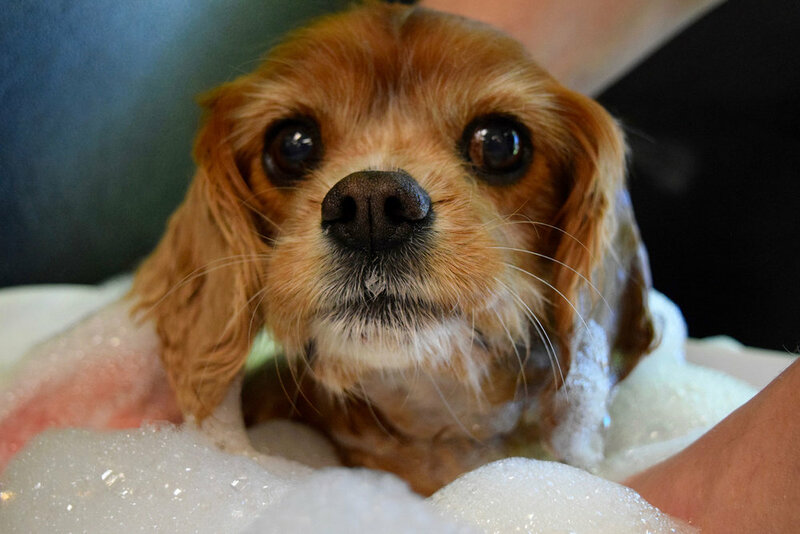 For those heavy-shedders or dogs with seasonal allergies or skin problems, we recommend more frequent bathing. Chat with your groomer or vet about the best shampoo options and schedule for your dog. Pamper your kitty- Jess has the magic touch. She has been grooming cats for over 16 years and is happy to work with you and your cat's unique needs. Most cats benefit from an 8-12 week grooming schedule to maintain healthy skin and coat. Call today! Prices are evaluated every January, adjusted when necessary. Estimates listed here are base prices only; your groomer is available to further discuss prices if needed.